On November 24, 2018, Alice L. Ladabouche passed away peacefully at the age of 87. Born in Pennsylvania, Alice was a long-term resident of Laurel. She proudly served her country as a member of the United States Navy. Possessing a very artistic nature, Alice painted, knitted, and did cross-stitch. 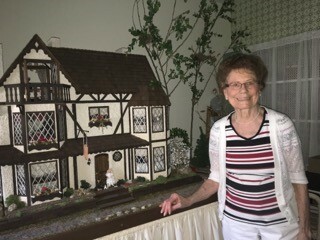 She had also built an entire dollhouse by hand, including all the furniture and accessories inside. Alice was predeceased by her husband of 59 years, John Ladabouche. She is survived by her daughter Jeanne Beaird, her son Michael Ladabouche and his wife Tina; and her grandchildren John Beaird, Michael Beaird, Megan Ladabouche, and Robby Ladabouche.